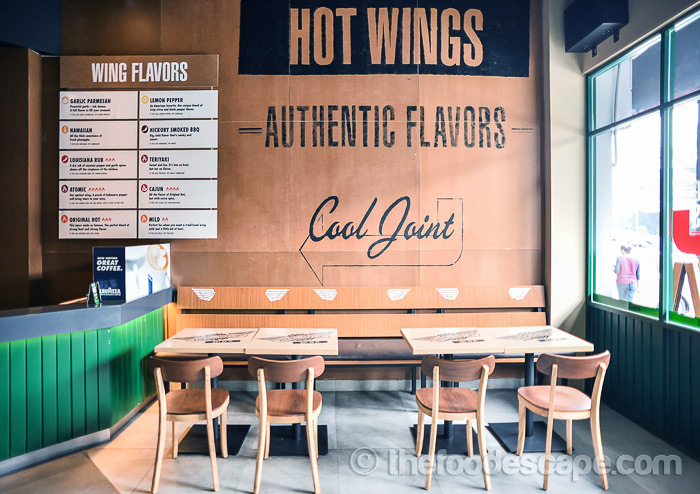 WINGSTOP is a heaven for (chicken) wings lovers, especially those who crave freshly-made, flavored ones. 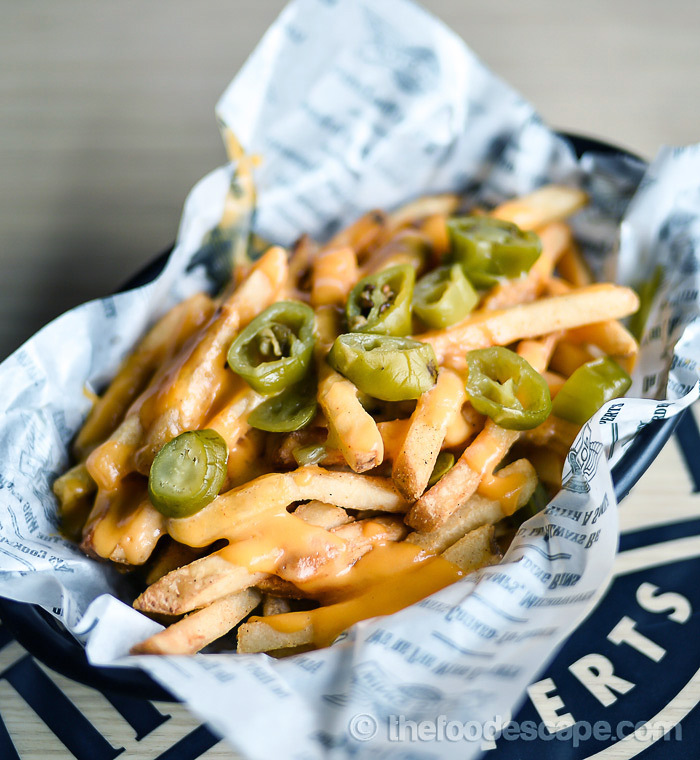 Originally opened for the first time in Garland, Texas, USA in 1994, it has been growing its popularity and started the franchise business since 1997. 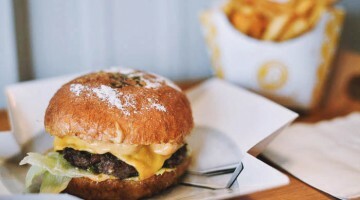 By today, there are more than 700 restaurants open across the United States, Mexico, Russia, Singapore, the Philippines and Indonesia, with locations coming soon to the United Arab Emirates. 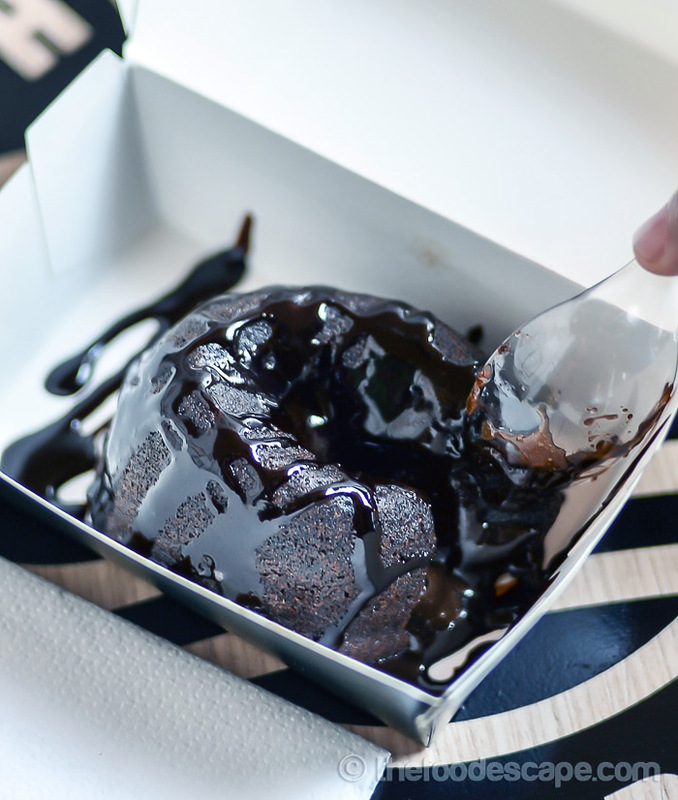 In Indonesia itself, since the opening of the first outlet back in June 2014, there are already 7 outlets in Jakarta and surrounding areas: KoKas, Setiabudi One, Kemang, Margo City Depok, Bintaro XChange, Cinere Bellevue and Aeon Mall. 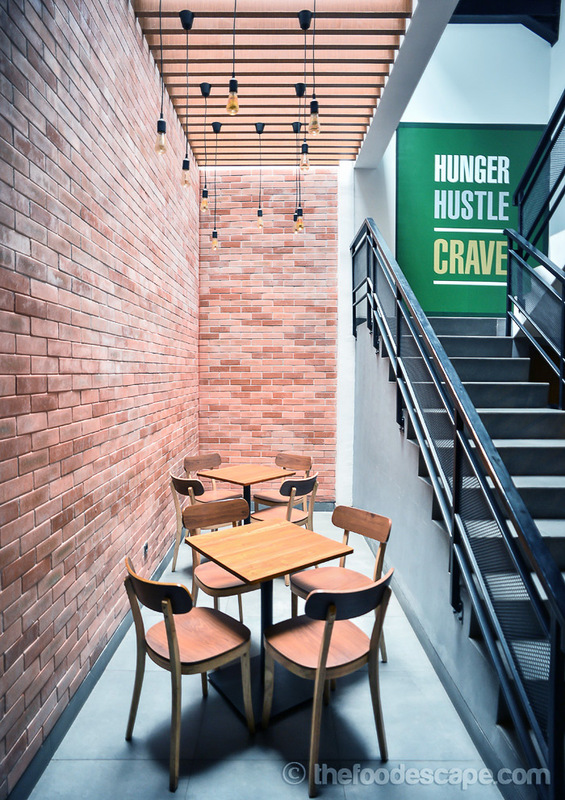 I remember last year, when we heard about the opening of the first WINGSTOP outlet in Jakarta, we were very excited about it. Although I had never tried the one in the USA before, I had heard about this chain long before, and I was so glad that I could finally experience it here in Indonesia. 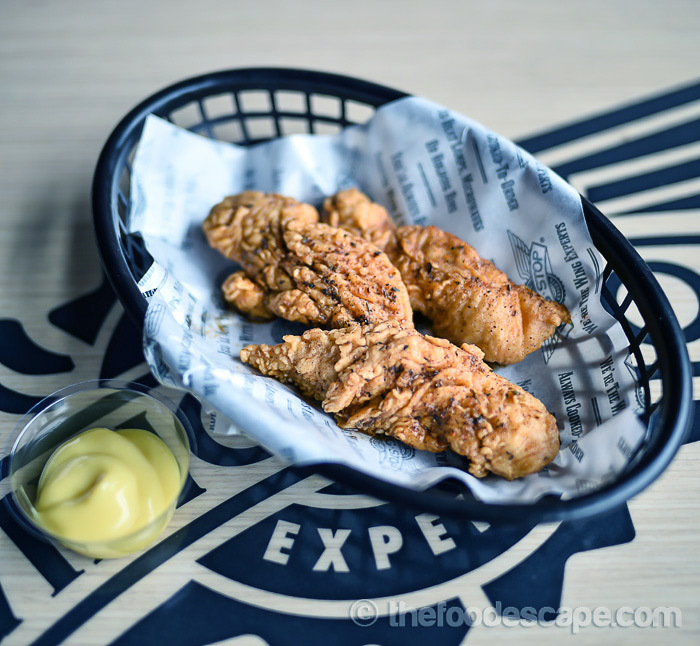 We went to the first outlet in Kota Kasablanka Mall (KoKas) one day after the opening, and our first review was written by my brother who is an avid chicken wings lover and happen to really love WINGSTOP! 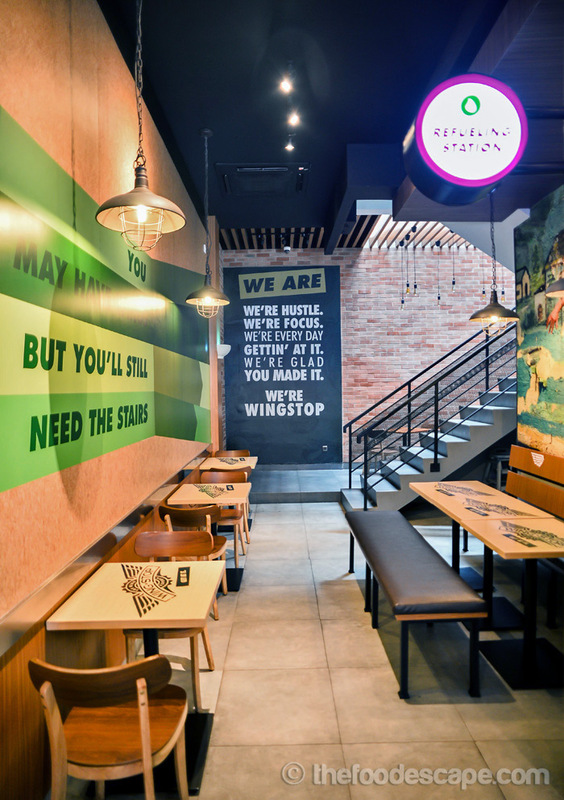 This time, we visited the only independent WINGSTOP outlet here in Kemang area, South Jakarta. 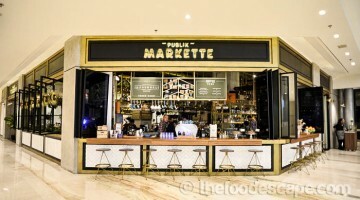 As the other outlets are located inside the malls, I was quite surprised to find this outlet. 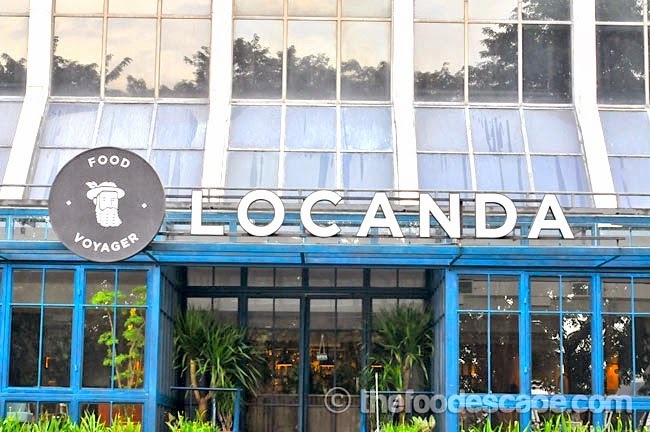 The restaurant occupies three storey building in Kemang Raya street, adjacent to a Carl’s Jr.’s outlet, both are actually managed by same group, Mahadya Group. 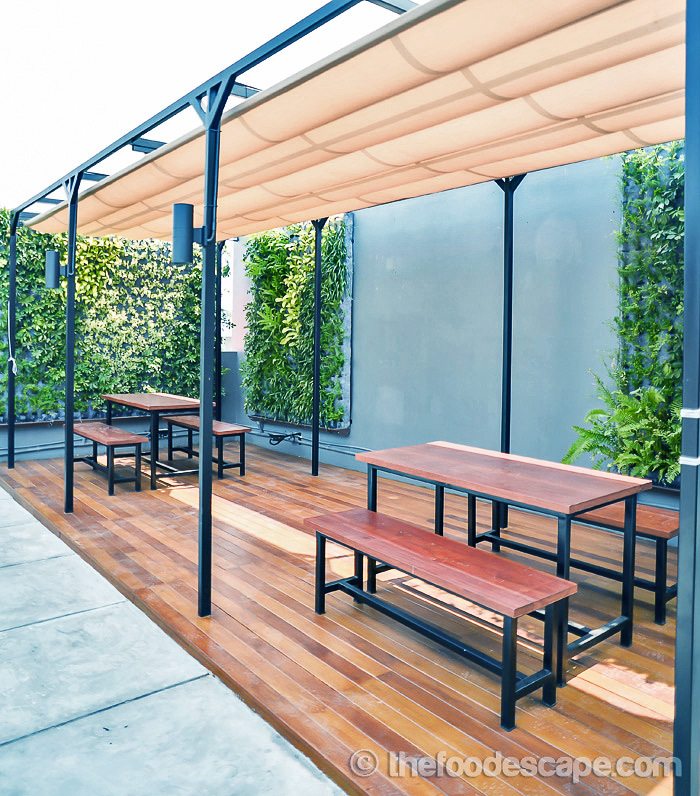 This outlet in Kemang is much more spacious than the other outlets, with the second and third floors are also available as dining areas, private rooms, and meeting/function rooms. 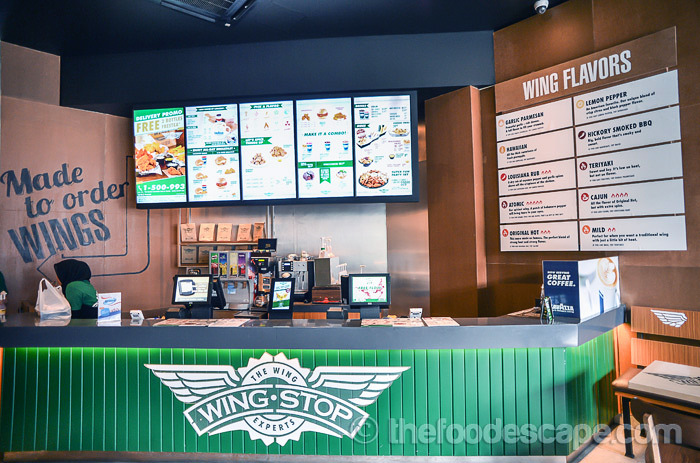 WINGSTOP may look like a fast food restaurant, but let me tell you that they are NOT. They claim that all the food served are freshly made to order. There is no heat lamp or microwave used in the process, so rest assured, you’ll get the freshest chicken wings prepared directly after you make your order. The ordering process is basically similar to any fast food restaurant, but you don’t get your food that fast. 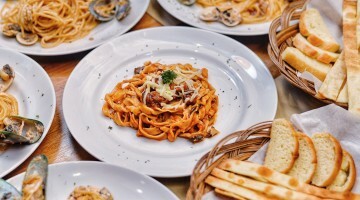 Because the food will be made to order, it usually takes about 10-20 minutes before the food are delivered to your table. 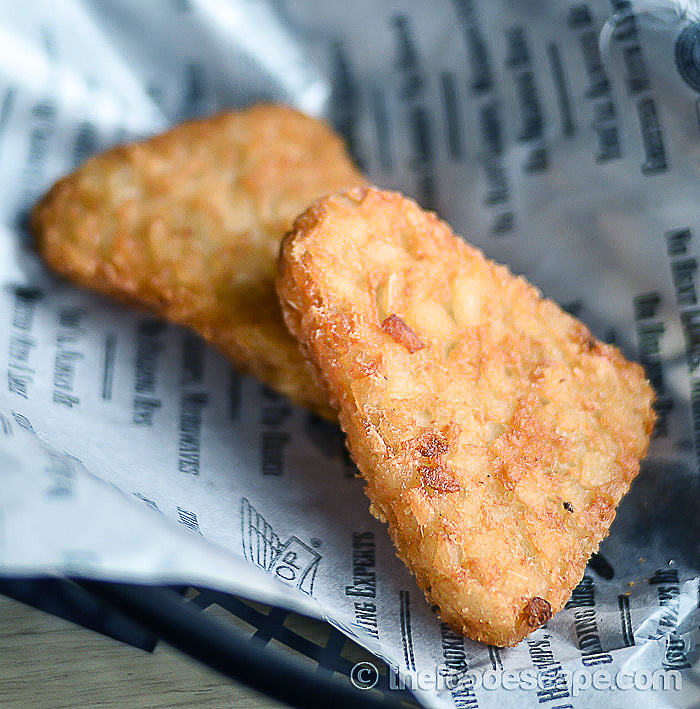 Garlic Parmesan: Powerful garlic + rich cheese. A full flavor to fill your stomach. 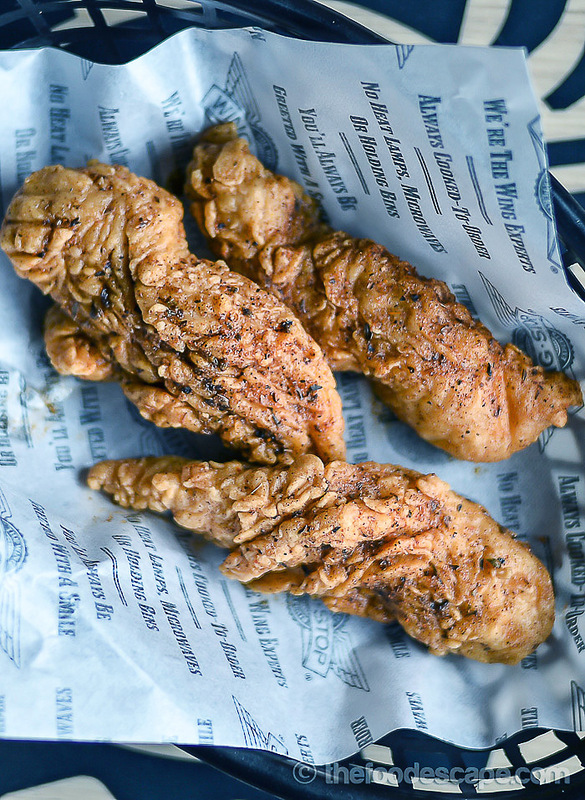 Lemon Pepper: An American favorite. Our unique blend of crisp citrus and black pepper flavor. Hawaiian: All the thick sweetness of fresh pineapple. Hickory Smoked BBQ: Big, Bold flavor that’s smoky and sweet. Louisiana Rub: A dry rub of cayenne pepper and garlic spices shows off the crispiness of the chicken. Teriyaki: Sweet and Soy. It’s low on heat, but not on flavor. Atomic: Our spiciest wing. A punch of habanero pepper will bring tears to your eyes. Cajun: All the flavor of Original Hot, but with extra spice. Original Hot: This sauce made us famous. The perfect blend of strong heat and strong flavor. Mild: Perfect for when you want a traditional wing with just a little bit of heat. Here comes the long-awaited wings! We tried 2 flavors for these: Garlic Parmesan, which is said to be the customers’ favorite; and Hickory Smoked BBQ, which is WINGSTOP’s signature flavor. As typical wings, like my brother said, the meat are best eaten off the bones, so keep the utensils aside and get your hands dirty! XD The wings are not big but hey, WINGSTOP is all about flavors experience, right? The Garlic Parmesan is, hands down, one of the best flavors they have, and it’s like mandatory to order this when you visit WINGSTOP. Can you see the generous usage of the seasoning on the wings? I am drooling all over my keyboard just thinking about it right now. The Hickory Smoked BBQ is not to be taken lightly, either. This flavor somehow is so American that brings nostalgic feeling for me. Compared to the one I had last year, this too had gone through so many changes and the taste has improved so much. 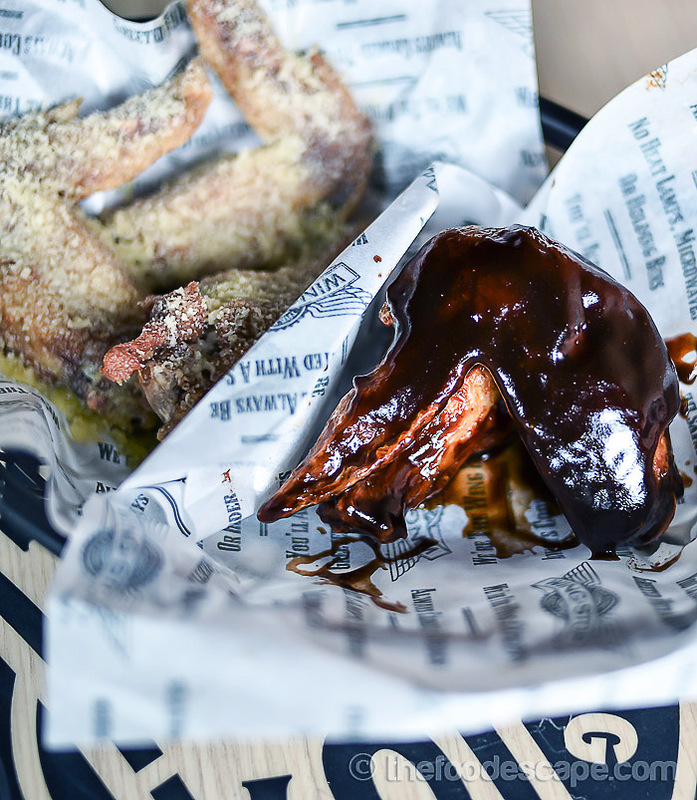 The balance of sweet, sour, and smoky taste really deserves to be called “fingerlicking good!”. Beside the classic wings (and boneless wings, like seriously! ), they also offer boneless strips which are perfect for lazy person like me who don’t like getting my hands dirty (I know, I know!). The flavor I tried for this boneless strips is Louisiana Rub, which is MY ULTIMATE FAVORITE flavor from all 10, and I am so proud to say that compared to what I had last time, this one has evolved thousand times better. The flavor was very strong and tasty, with vivid hints of spicy cayenne and garlic! And FYI, I really, really love these boneless strips because they are just very easy and convenient to eat. Maybe next time I should order more of this rather than the wings, LOL! If you must have rice, I recommend you to try this as only Indonesian outlets have it. Plus it’s already seasoned and suits well with the wings flavors! 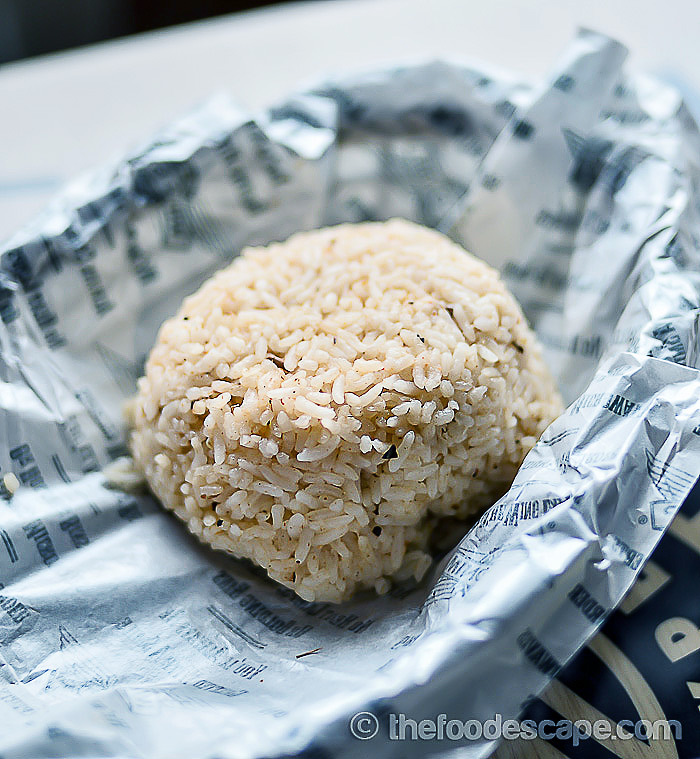 What I love about WINGSTOP (beside the flavored wings, of course!) is these veggie sticks menu which is totally a MUST ORDER item. 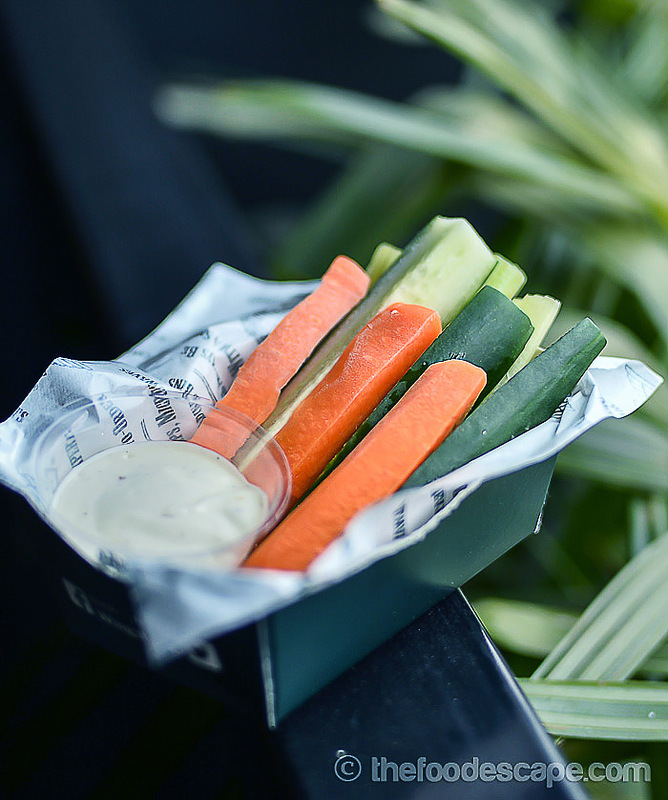 Some people are worried about consuming fried food, but the veggie sticks can be options for you to balance the oil consumption, or even for your partner who choose to eat something else there. My favorite is the carrot, which are crunchy and naturally sweet. The creamy ranch dip is simply awesome with these. If the wings haven’t satisfied you for some reason, I will definitely recommend you this. 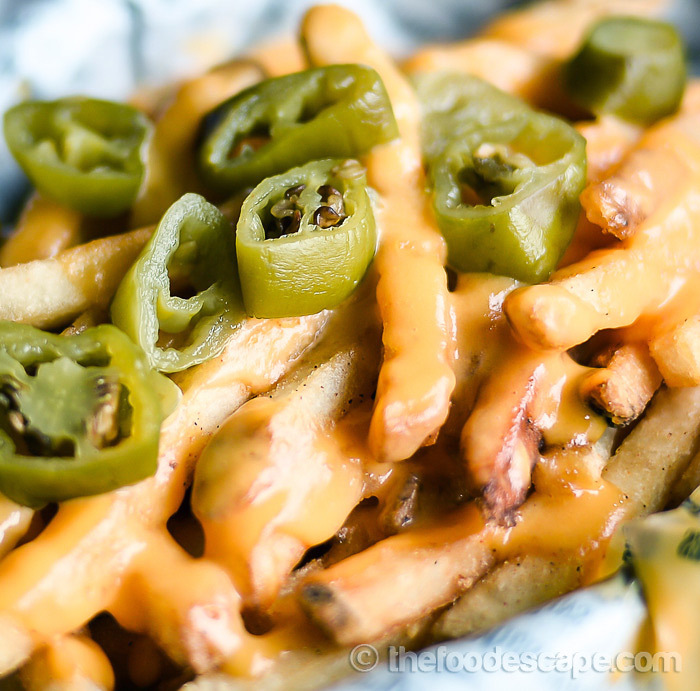 The cheese fries are not only generously drenched with rich, tasty cheese, they also sprinkled jalapeno cuts on top. The result is a surprising flavors of spices and it is definitely something that will make you crave for more! 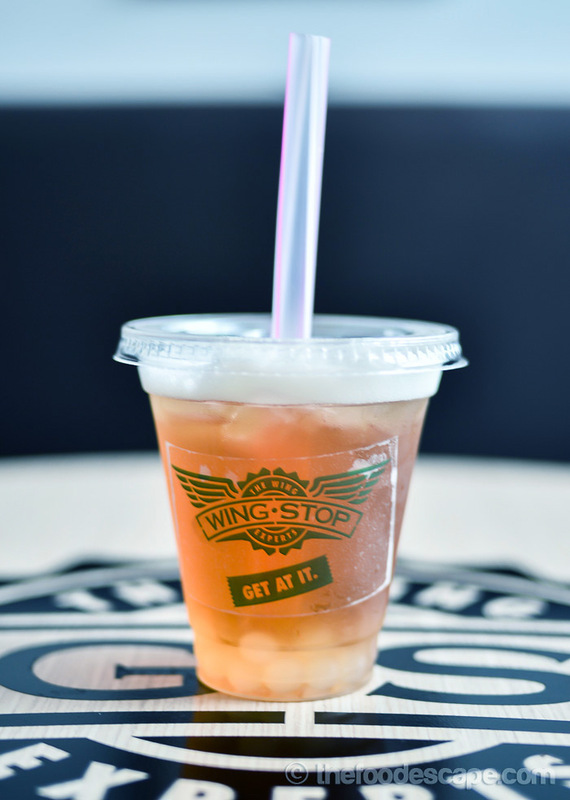 There is also a new drink menu called Boba Tea Shake, which is available in 5 different flavors: Apple, Lychee, Peach, Mango Peach Fruit, and Wingstop Tea Shake. We tried the Lychee flavor, which was refreshing and not too sweet. The best thing about this drink is the bobba itself: they are actually popping bobba that will pop inside the mouth when bitten and has their own flavors. 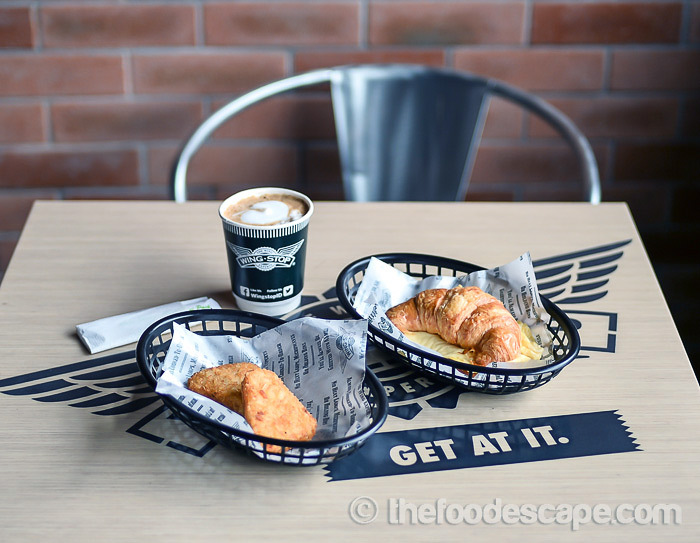 We also got opportunity to try their breakfast menu, which consists of Egg & Cheese Croissant and Hash Browns, with or without Cappuccino. This breakfast menu is ONLY available at Kemang and Setiabudi One outlets not only during breakfast hours, but also as All-day Breakfast menu everyday. 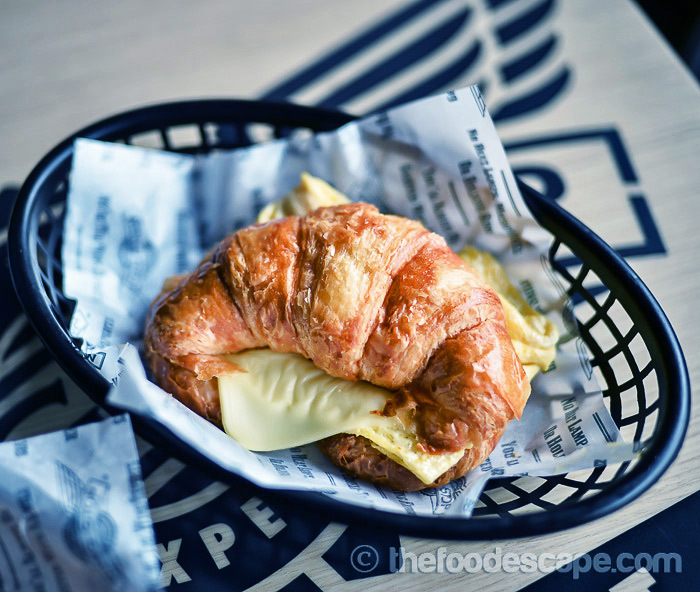 The main for the breakfast menu is Egg & Cheese Croissant, which instantly melted in my mouth. I love how soft and airy the croissant is, yet still fulfilling at certain point. It was already tasty and buttery, but the egg and cheese enhanced the experience. A set of breakfast is always lovely with a companion of coffee. 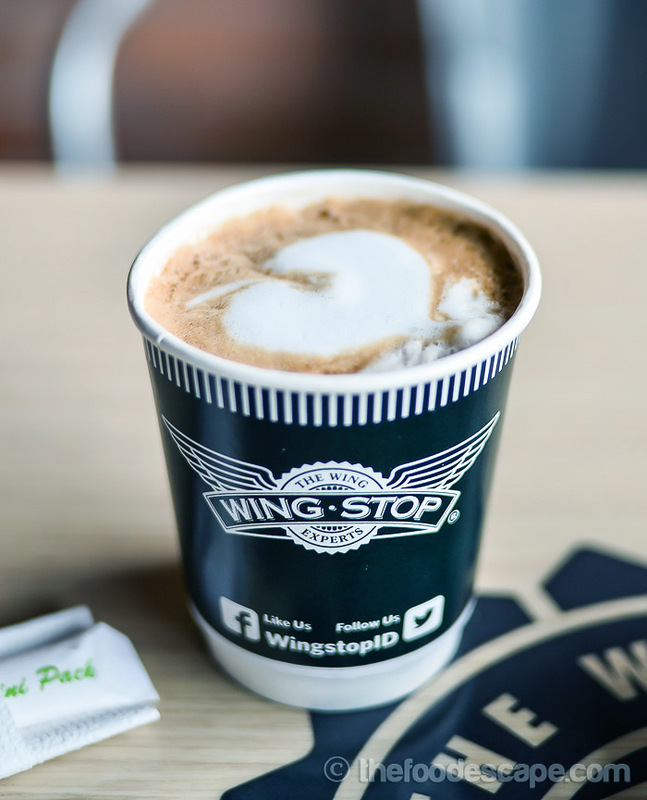 WINGSTOP uses coffee from Lavazza, which BTW, was fragrant and had a mild yet kicking flavor. 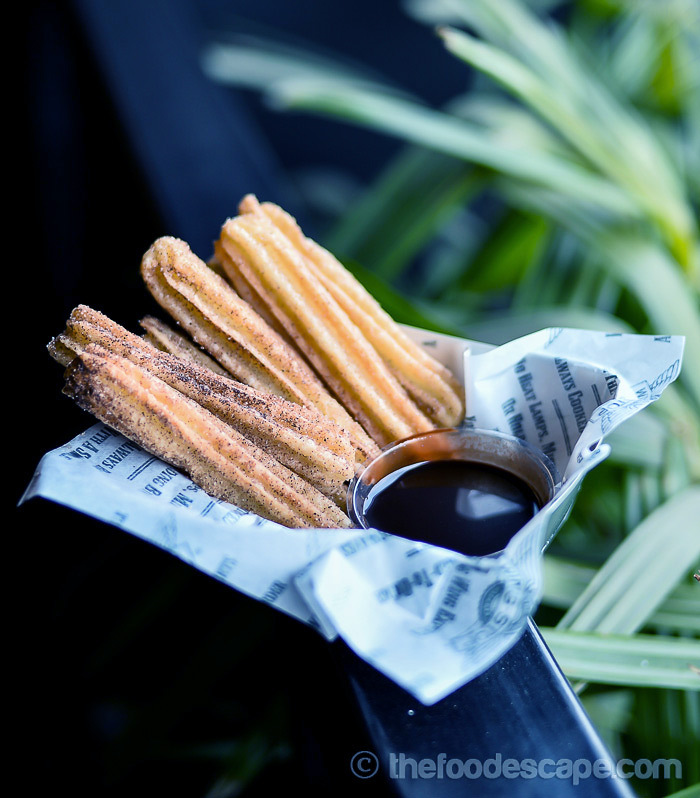 I always love churros especially the ones which are crunchy but not too crispy. 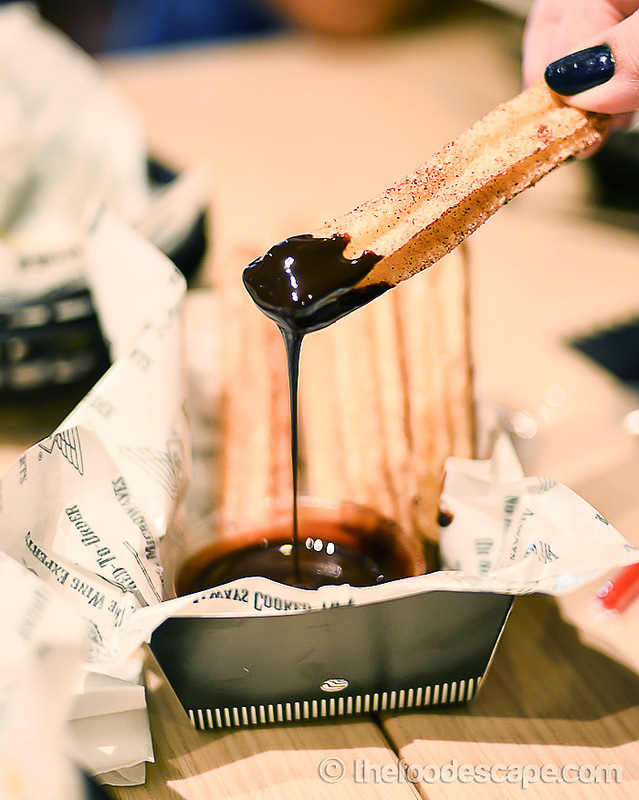 The churros here were great and came with chocolate dip, irresistibly YUM. Super moist chocolate cake with a little dense texture, the chocolate melt was awesome. Best enjoyed warm/hot! 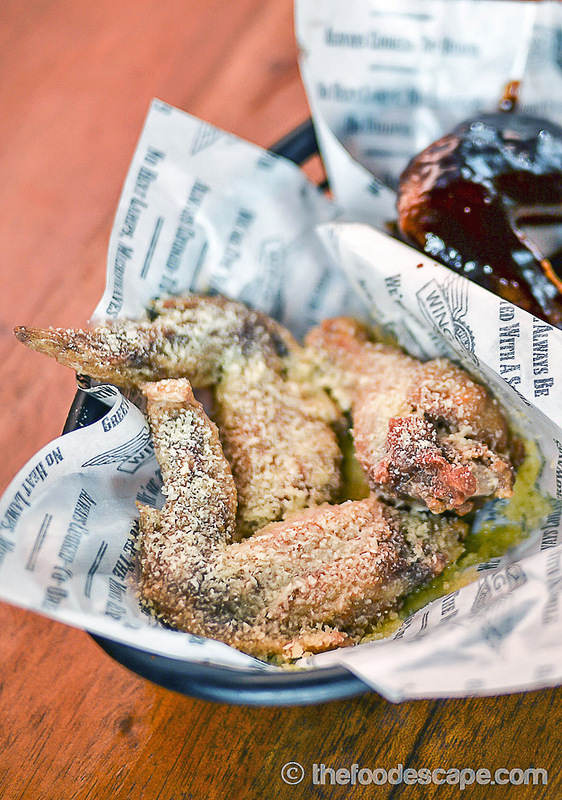 Eating wings like this is much better with soda drinks, don’t you think so? 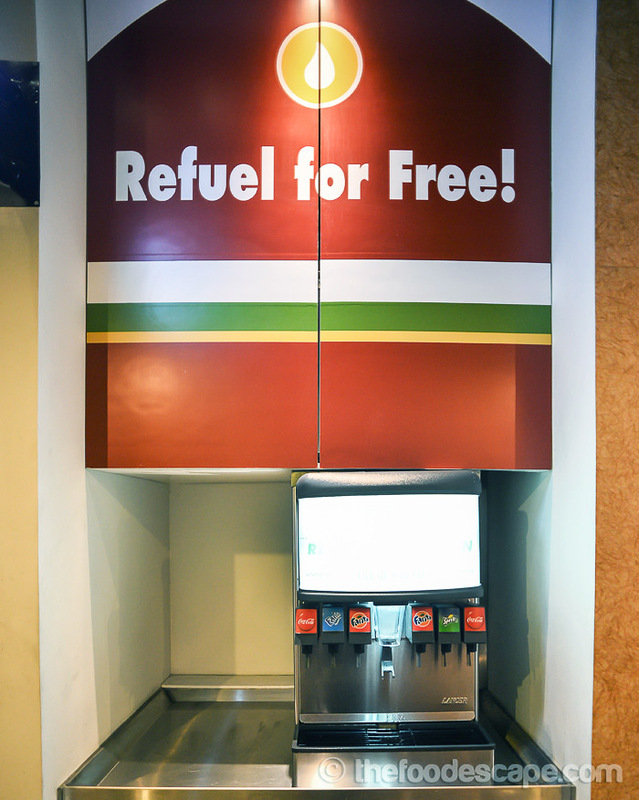 And I am glad to share that they have their own Refueling Station for free refills of soda drinks for only IDR 10,000 (WHAT!?). 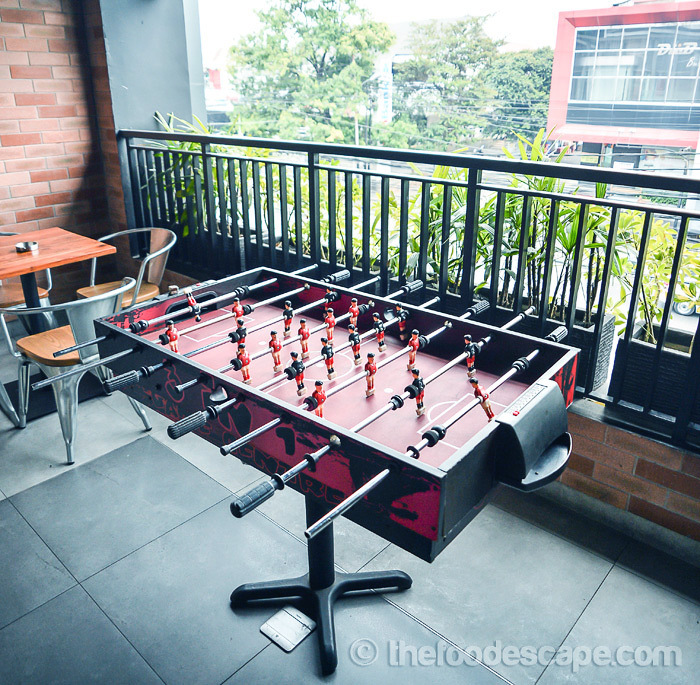 This is definitely one of the perks of this outlet in Kemang, beside the charging stations in almost every tables. The third floor is very spacious and connects directly to Carl’s Jr.’s next door. 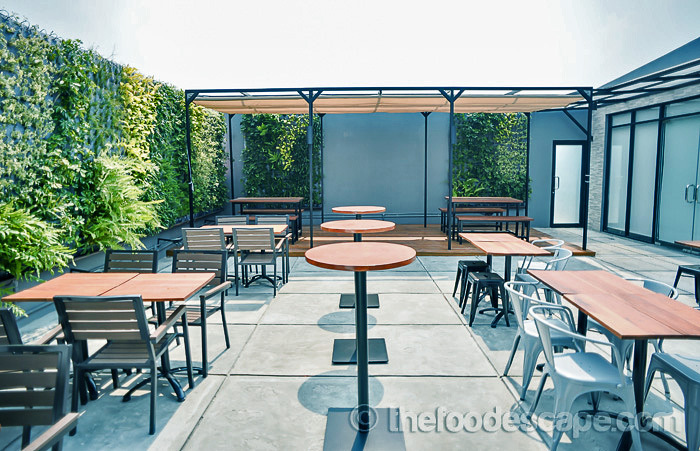 It looks almost like a rooftop restaurant to me but this area is also utilized as dining area, meeting/function area and so on. 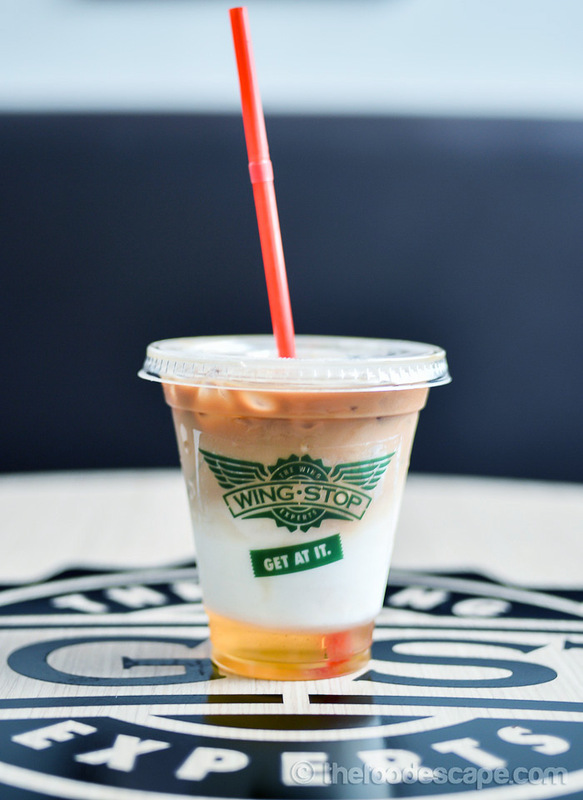 If you’re curious to try their food, currently WINGSTOP is having a promotion of WEDNESDAY IS WINGSDAY: every Wednesday, for a purchase of 5 pcs Classic Wings with 1 flavor & 1 dip, you’ll get Free 5 pcs Classic Wings of the same flavor (this promotion is valid for Dine-In & Take-Away only). And now, we have great news for all of you! 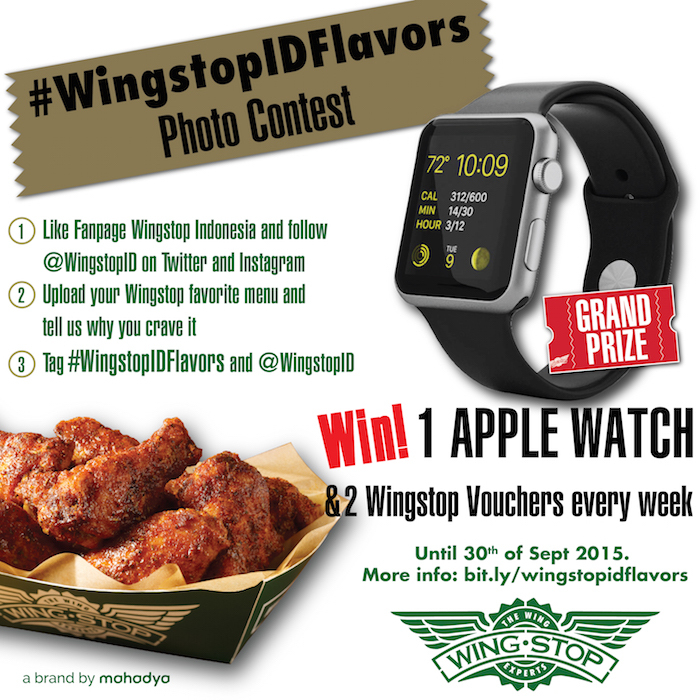 Share your favorite Wingstop menu with hashtag ‪#‎WingstopIDFlavors‬ and win grand prize 1 APPLE WATCH! 2 weekly winners will get Wingstop Voucher. 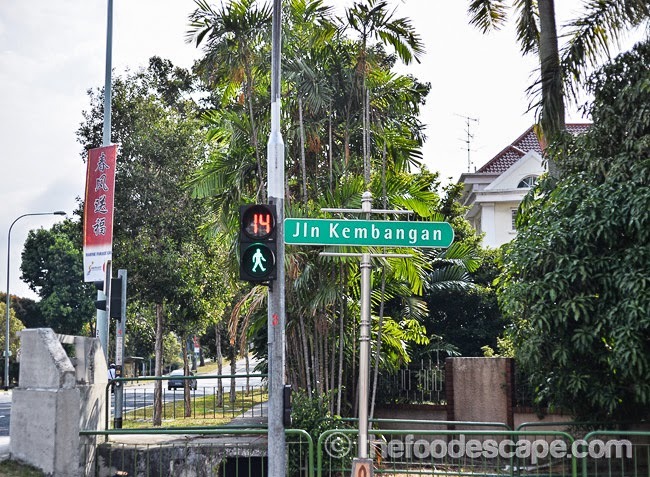 ** This review is written based on our visit on 12 September 2015.